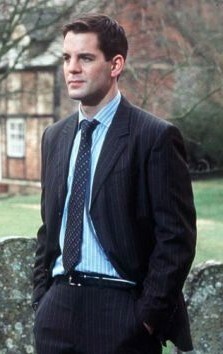 John Hopkins joined the cast of Midsomer Murders in the second episode of series 7, shown early in 2004. He remained with Midsomer until the end of Series 8 playing the part of Barnaby's new Detective Sergeant, Dan Scott, a cheeky Londoner. Due to his good looks, he was also cited as a ladies' man in the new series. As a newcomer he was nicknamed 'Hoppers' on the set to avoid confusing him with John Nettles. Despite his youth and looks he also struck up an instant friendship with the star. As a graduate from RADA in 2000 and latterly a member of 'The Royal Shakespeare Company' this was John's first real TV job. You can read some more about John by clicking here. John went to Manshead Upper School in Dunstable where he was regularly involved in school productions. After university he attended RADA and before Midsomer Murders he was a member of the Royal Shakespeare Company. 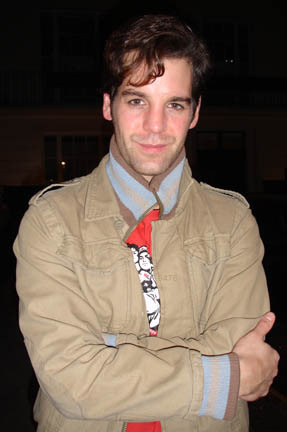 Read John's thoughts here about his role during some of his time in the series. Despite being with Midsomer only a short time John has remained friendly with some of the cast including John Nettles and Daniel Casey.